Bij aanschaf van dit product krijgt u in totaal 2 Loyaliteit punten. Uw winkelwagen bevat een totaal aan 2 punten die omgezet kunnen worden in een waardebon van 0,20 €. 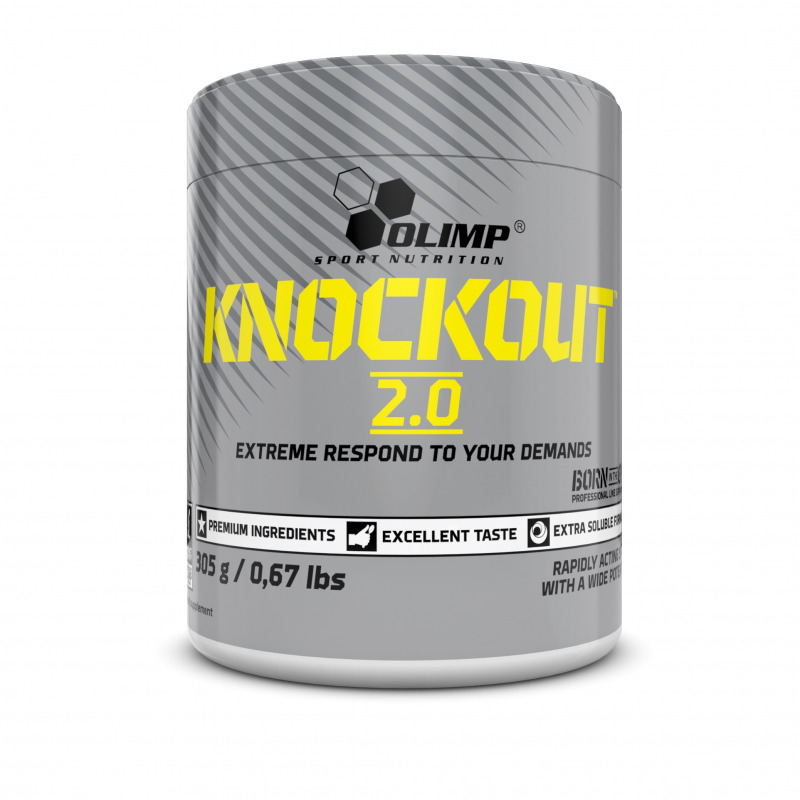 We bring you the Knockout 2.0 probably the most powerful pre workout on the market. You think that you have tried the best Pre-Workout check this out! Take a portion wait 15 min and reach all your training goals. 200 mg caffeine per portion blows up your focus and readiness to a new levels! Combination of L-Arginine and L-Cytruline gives an extraordinary and blasting Muscle pump effect. The product is not recommended during lactation and under 12 years of age. Keep out of reach of young children. Consult with a doctor before use if cardiovascular conditions are abnormal. Do not use if you are hypersensitive to any of the constituents of the preparation. Do not consume other products containing caffeine at the same time (e.g. : other food supplements, coffee). Do not exceed a daily intake of 400 mg of caffeine from all sources. Do not use before bedtime or during the immediately preceding hours before sleep. The sediment may occur, which does not affect the quality and effect of the product. Recommended use: take 1 portion (6,1 g of powder) daily about 30 minutes before training. Add 1 portion (6,1 g = ½ scoop) to 250 ml of water. Consume directly after preparation. Do not exceed the recommended daily dose. Food supplements should not be used as a substitute for a varied and balanced diet. A varied and balanced diet and a healthy lifestyle are recommended. 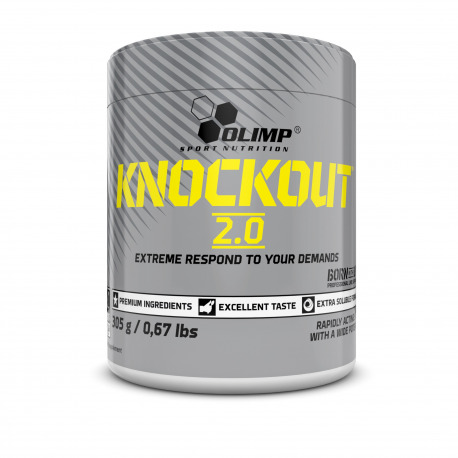 Warnings: KNOCKOUT™ 2.0 contains caffeine. Not recommended for children or pregnant women (caffeine content: 200 mg/ daily dose).